He also indulged me more and bought me a sheep. Yes, I have my own sheep to sheer in the summer. Her name is Zinger Binger. 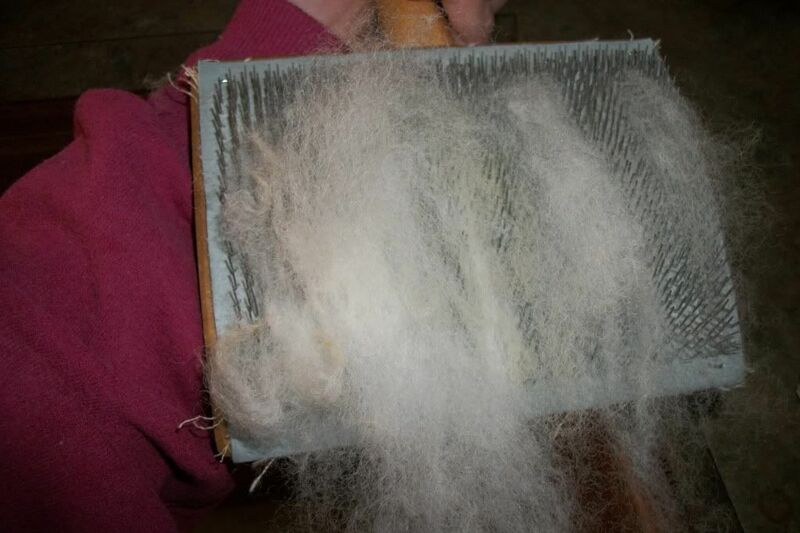 My friend Catherine came up a few months ago and showed us how to process our own fleece. She brought me 5 raw sheep fleeces and one alpaca/llama fleece. 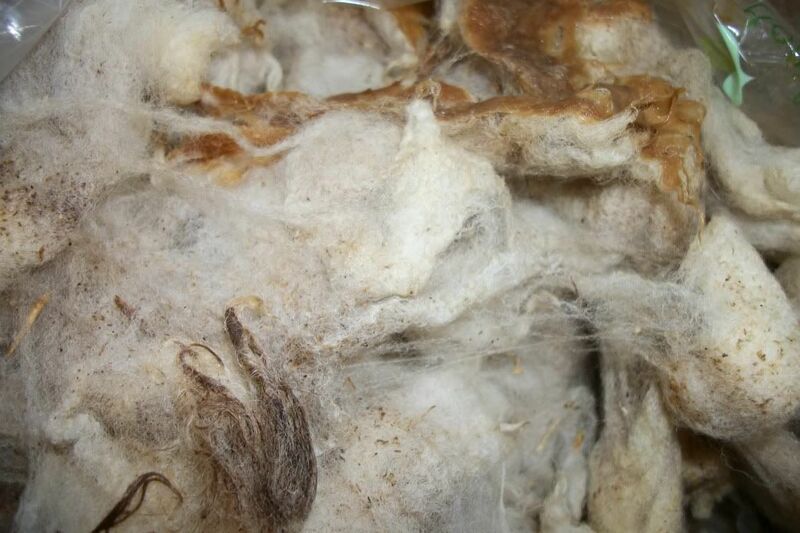 This is a raw fleece shorn off a sheep. It's pretty nasty. Ticks, leaves, feces, twigs, mud. 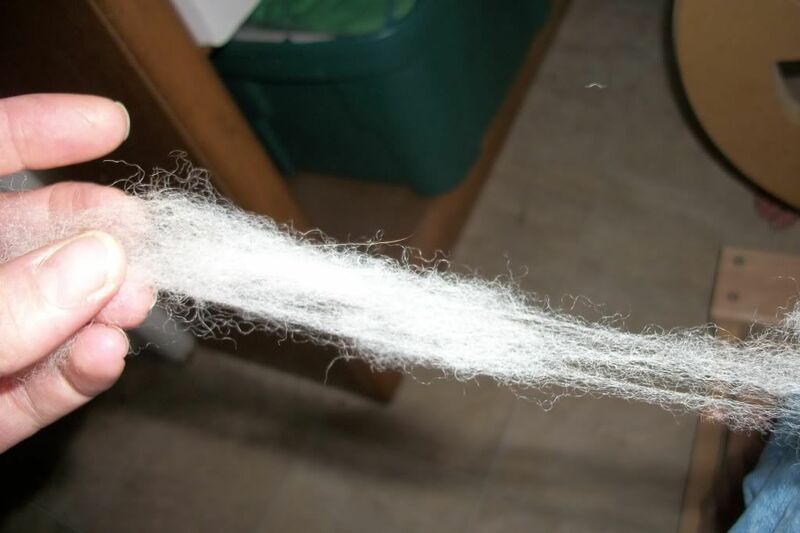 I put it in my washing machine in 160 degree water, with some Dawn dish washing liquid, after I shook out as much crud as I could, picking out the stuff I could see. This is after 3 washings, and picking it clean after each wash, then two complete rinses. 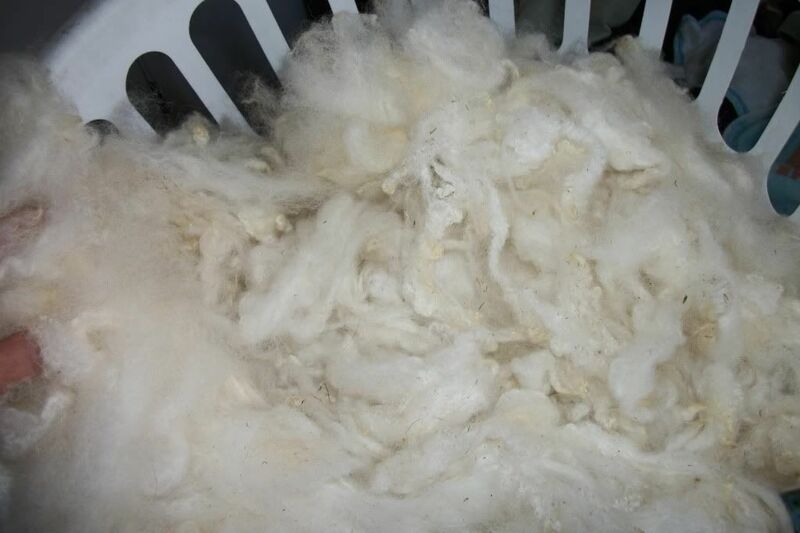 Here I have carded the fleece I washed and picked clean yesterday. 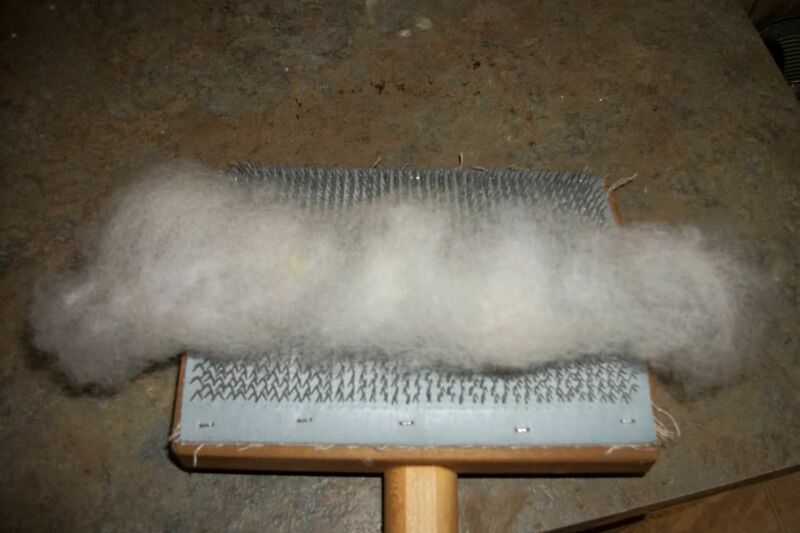 Carding is essentially like combing the wool, getting it lined up to draft and then spin. After you card it, you roll it into a rolag, ready to draft. 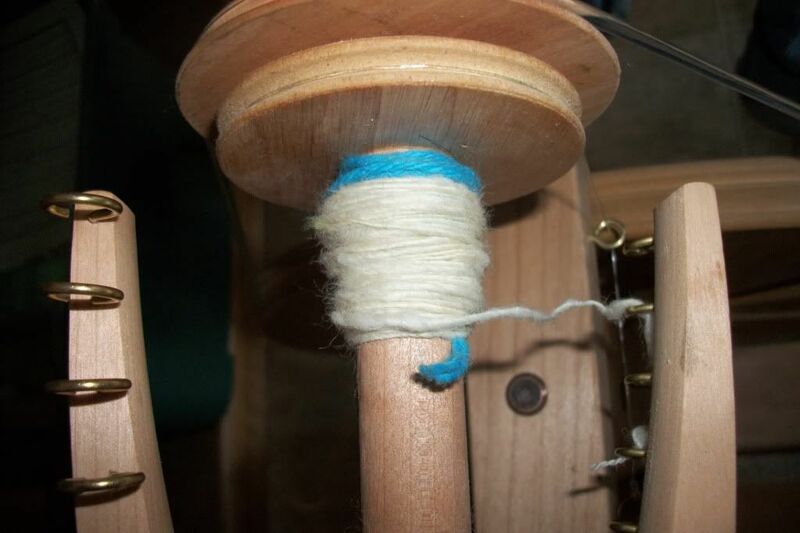 Here I have drafted it-it's basically teasing the fibers apart, ready to spin. It makes it easier to spin smoothly this way. Fun to see the entire process!